Anybody who has been on Reddit recently might be aware of the recent controversy regarding the micro transactions in “Star Wars: Battlefront 2.” Electronic Arts (EA) has even gone so far as to retract micro transactions from the game before launch to try and make amends to the hordes of online forces who are displeased with the game. Anyone reading this article is only one click away from finding several lengthy rants about why fans are angry with the game. Do micro transactions belong in video games at all though, and if so, to what extent? The controversy began with one Reddit post about a player who paid $80 on the game and still was not able to unlock Darth Vader, a very powerful character in the game. EA responded to this post with a lengthy response defending their decision. The most notable excerpt from this response was the first sentence that said, “The intent is to provide players with a sense of pride and accomplishment for unlocking different heroes.” That reply is now the most down-voted comment on Reddit. EA has had somewhat of a track record for having people pay for post-game content, especially with the first “Star Wars: Battlefront.” In the company’s defense, though, EA certainly was not the first company to think of using micro transactions in their games. Most mobile games, including “Clash of Clans,” “Fire Emblem Heroes” and “Final Fantasy Explorers” have options to buy additional characters and abilities as well. One company that has come to be considered the antithesis of this trend is Nintendo, who typically has their games fully playable upon purchase. Even this is not completely true, though. Downloadable content (DLC) characters being added to Super Smash Bros and Fire Emblem Fates having the Revelations pack that reveals the end of the game are just some examples of Nintendo having players play extra money for their game. What is different for companies like Nintendo and mobile game developers is that they do not seem to receive as much criticism for their micro transactions as EA does. This might have more to do with how the micro transactions are implemented as opposed to their presence in general. Take “Overwatch,” for example. That game features a loot box system of upgrades, a feature that is also in “Star Wars: Battlefront 2.” What is different for “Overwatch” though is that the upgrades players get are mostly cosmetic. Various skins for characters can be unlocked through these loot crates, but a player who has unlocked multiple loot crates online will be on the same playing field as another player who has made no purchases. It seems to be this area that “Star Wars: Battlefront 2” players are most upset with. Players with more money receive rather large advantages in the multiplayer mode of the game. In terms of characters specifically, all of them are obtainable without using any money, but some iconic characters like Darth Vader are only obtained through enormous amount of playtime, which the fan base may not be willing to invest in. This also applies for weapon upgrades and things of that nature. Having been rid of the feature for now, EA announced that micro transactions will return to the game in some form, and despite the “Overwatch” comparison, they will not be purely cosmetic due to copyright issues with Disney. Some members of the gaming community are encouraging players to stay clear of the game to try and influence EA to take micro transactions out altogether, but given the trend of other gaming developers, that seems unlikely. 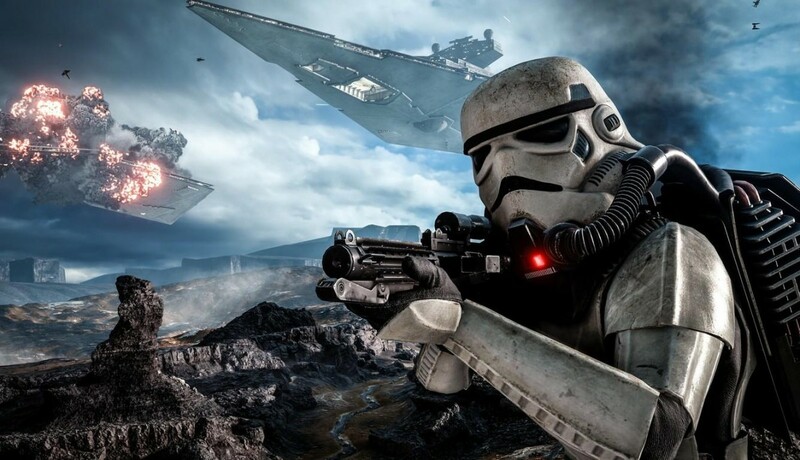 It may be prudent for EA, however, who are in control of a franchise that many gamers love, to incorporate a system that gives a better experience to the player, but not necessarily gives them a large advantage against other players.